There is another Norway, a secret Norway, and police investigators Kyrre Kaupang and Cathrine Bodøgård will soon learn what it means to get involved in this environment. It all starts when a clearly scared counselor asks Kyrre to look into the suspicious death of one of Norway’s richest men, shipowner Stein Jahrbøl. At the same time, Torbjørn Jagland is preparing to announce this year’s recipient of the Nobel Peace Prize. Those who know him see that he is extra nervous. What they do not know is that Jagland´s life was threatened by a powerful man the night before. Are these two events linked together? The two investigators get swallowed by a dark world of intrigue, conspiracy and killings with links dating back to the fifties. 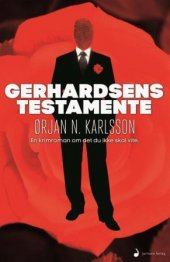 At a time when the powerful politicians Einar Gerhardsen and Trygve Lie planned something they did not realize the concequences of. Secretly, the two Labour party men madedecisions affecting Norwegians’ lives today. It’s historic, it’s exciting and uncoveres unknown sides of big Norwegian personalities. And everything could have happened in reality. Or did it actually happen?